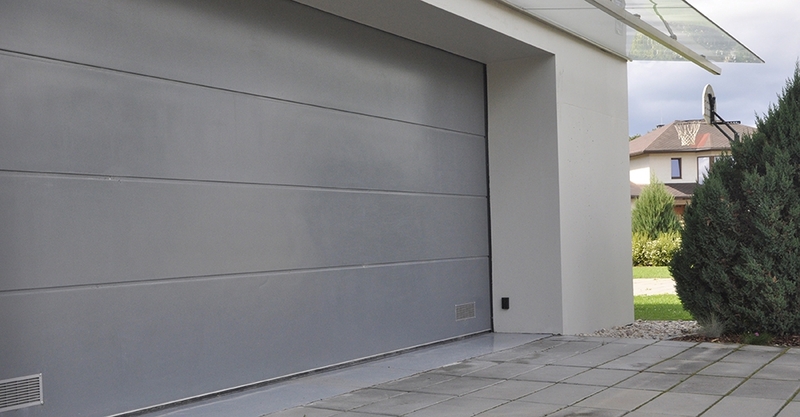 Garage doors are an important element of every home, contributing a great deal to the external looks of the house. The base colours are white (RAL 9016), anthracite gray (RAL7016), silver (RAL9006) and brown (RAL 8014), the inside comes in white (RAL 9016) only. The door can be painted to any RAL colour. We also offer extra strong and good-looking Renolit covering for doors with wide boarding; you can choose from 3 different coverings: GOLDEN OAK, DARK OAK and MAHOGANY imitation. 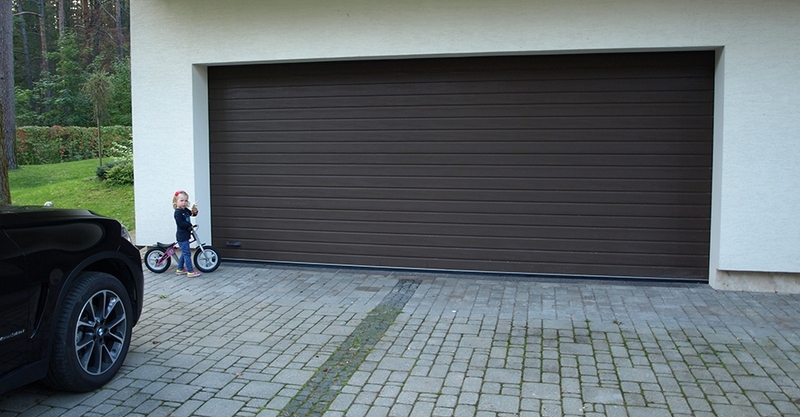 You can park right in front of the garage door without hindering its opening or closing. In winter, snow will not be a problem when opening or closing the door. 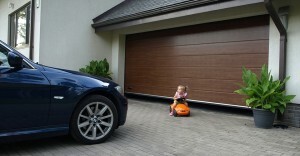 Electric drive means that you don’t need to exit your car to open the garage door. 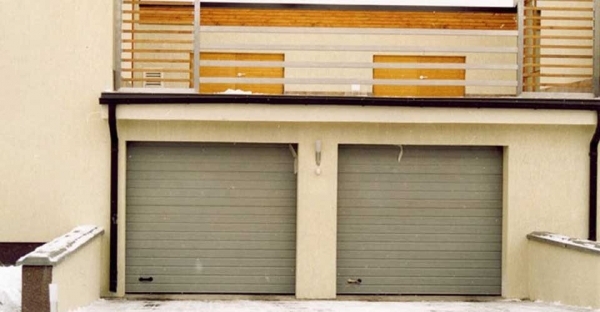 You can have windows and a pass door inside the garage door. Made to customer’s dimensions and needs. Bolt – you can close the door with a bolt on the inside. Lock – allows opening the door from outside and inside. This is recommended when there is no additional entry. Finger protection – the door panels have special design that prevents fingers from being crushed between panels. 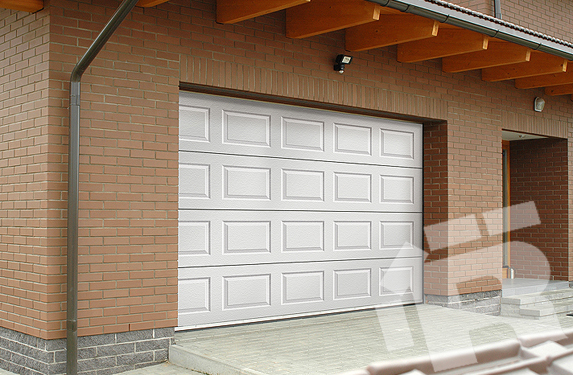 The doors move smoothly because their weight is balanced by torsion springs. The service life of the springs is 25,000 full cycles – this is ca. 10 years of stable use. 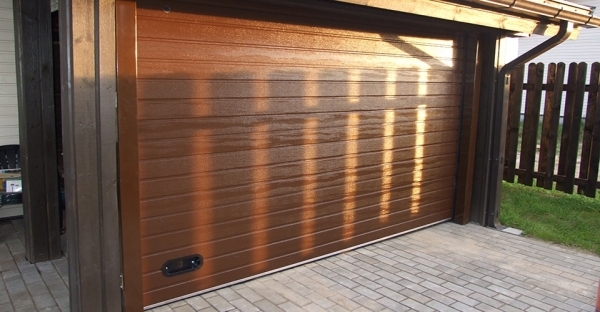 Need more information about home garage doors? Submit an inquiry now!